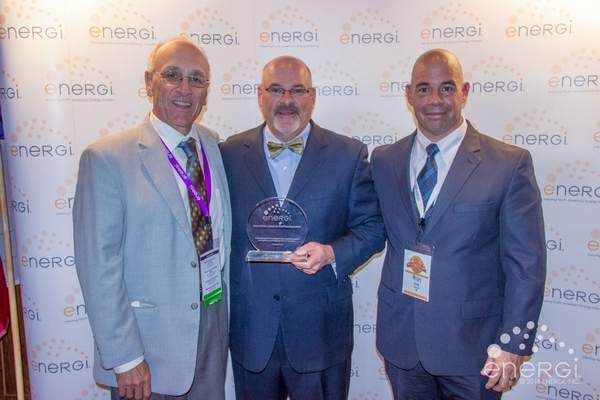 Newmarket, NH - November 27, 2014 - Proulx Oil & Propane has received Energi's 2014 Excellence in Risk Management Award for being a leader in the implementation of Energi safety and risk management programs. Energi, a leading provider of Insurance and Risk Management Programs to the energy industry, recognized Proulx Oil & Propane as being the "Best of the Best" within the energy industry at the annual Energi Risk Management & Insurance Summit in San Antonio, Texas on October 9. Receiving the award for Proulx was Tom Proulx, vice president and CFO. Proulx Oil & Propane's focused commitment to safety, implementation of risk management best practices, and willingness to learn and apply new safety techniques have enabled them to set a future standard of excellence amongst industry peers. For more information on Proulx Oil & Propane, please contact Jim Proulx at 800-287-1921. Proulx Oil & Propane is a family owned and operated company located in Newmarket and Epping, serving residential and commercial customers in New Hampshire and Maine with additional operations in Center Conway, operating as Reliable Oil and Propane. Proulx's dedicated personnel provide customers with prompt, dependable service with a full complement of propane and fuel oils along with the most modern equipment and delivery technology available.